And These Are the Good Times named a finalist for the Montaigne Medal! The Temple of Air has been named Chicago Writers Association’s Book of the Year in Traditional Fiction! 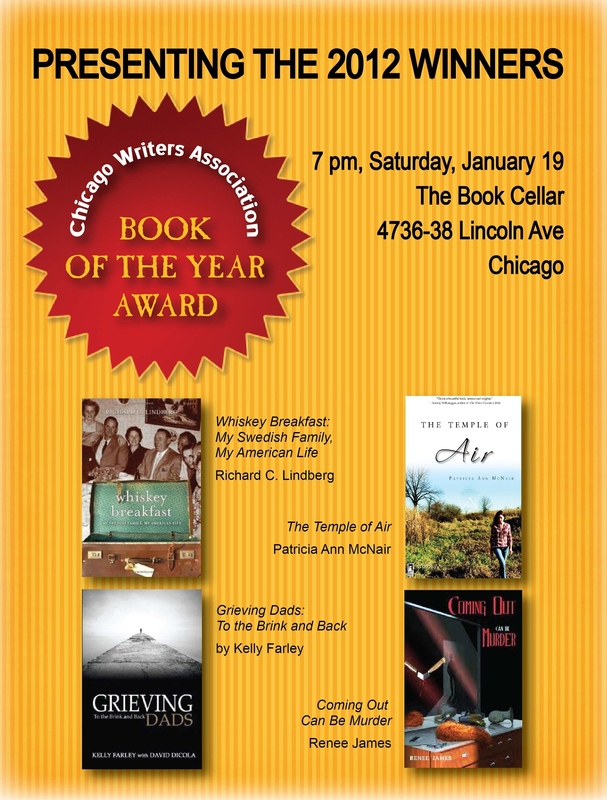 Award ceremony to be held at the Book Cellar in Chicago, January 19, 2013. The Temple of Air winner of 2012 Devil’s Kitchen Reading Award in Prose, sponsored by Southern Illinois University, Grassroots literary journal, and the Devil’s Kitchen Fall Literary Festival. Society of Midland Authors names The Temple of Air as 2012 Finalist Awardee in Adult Fiction. Patricia Ann McNair named to Newcity’s Lit 50 List: Who Really Books in Chicago 2012. From July 10, 2011. Review of the Temple of Air, reviewer: Leah Tallon. Patricia Ann McNair interviewed on Stephanie Kuehnert‘s blog Life, Words, & Rock ‘n’ Roll for her series “Women Who Rock Wednesday.” Check it out here. Philip Hartigan interviewed the author for his art blog Praeterita. Check it out here.